Citations can be imported into FACULTY180 from Medline/PubMed. The Activities form displays. Scroll down to the Scholarly Contributions and Creative Productions section. The Activity Input screen displays. 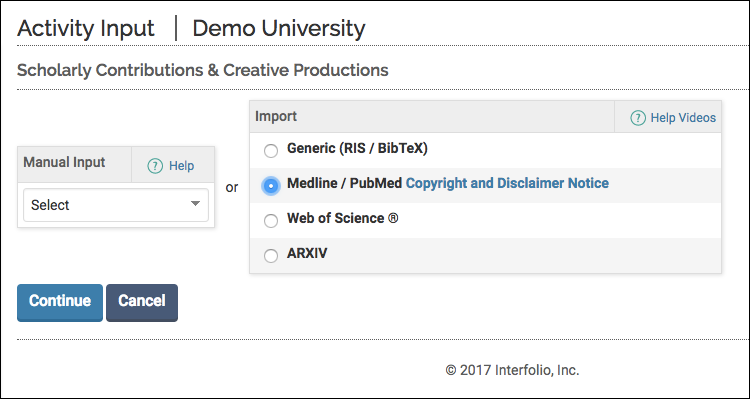 Click the Medline / PubMed import option. If necessary, change the maximum number of records to return. The default is '25'. Select the Hide Duplicates check box if you wish to hide duplicate records. Select then Search field using the drop-down. Then, enter the Search Word / Term. The citations from the file are listed. Select (by checking the box next to the citation) the citations to import. Citations that have already been imported are identified as strike-through text these entries are disabled. Scroll down to the bottom of the screen. Click Import Selected. 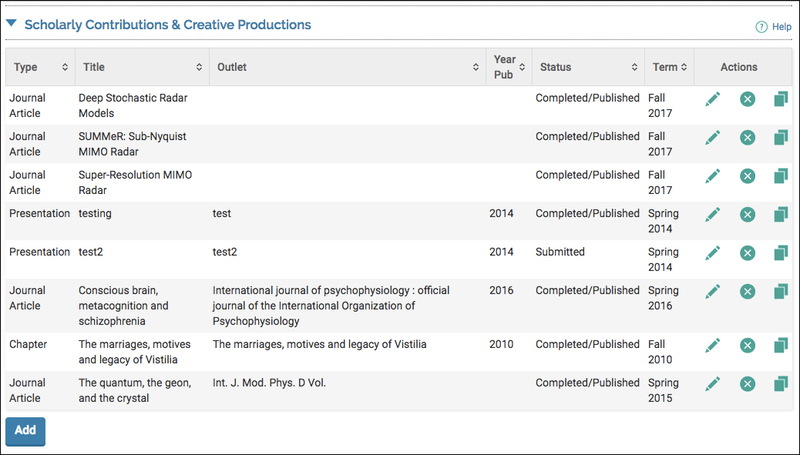 Review the Year Published, Semester and Year for each citation to be imported and modify as needed. The table at the bottom of the page identifies any possible duplicates. The import report is repeated. Click Go Back to return to the Scholarly Contribution section.